After researching the venue I kinda fell in love with the beautiful and unique architecture and knew I wanted to incorporate it into the poster somehow. Almost all the photos of the Fox Center are of the iconic front with the Riverside marques but I was able to find a photo of the courtyard area with some amazing signage. In addition, I noticed that most previous Joe B posters centered around Joe himself and thought it would be interesting to go another route. 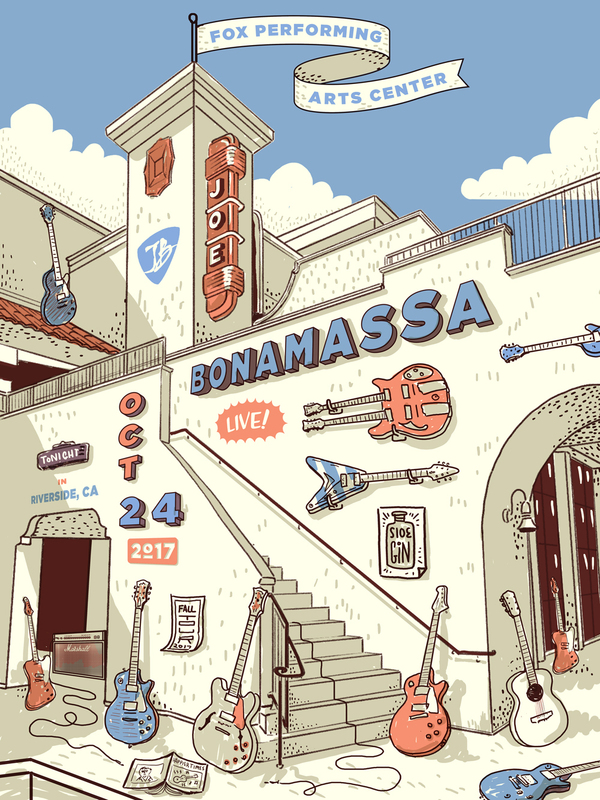 I came across the photo of Joe and his collection of guitars came up with the concept of Joe Bonamassa "taking over" the Fox Center for the night. 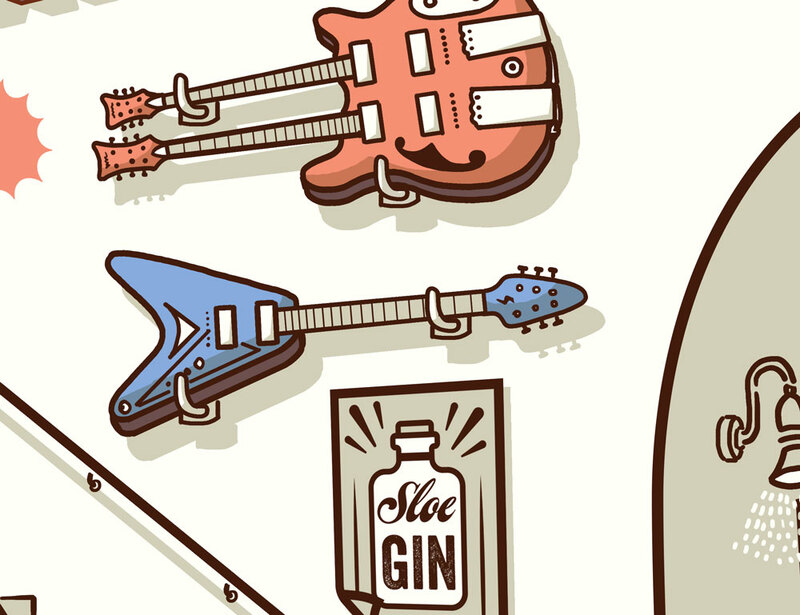 Guitars strewn about, custom signage and posters all over etc. As with all posters we do, I wanted to make sure that the poster is something that the viewer can engage with and explore. Having little bits of information all over the composition that relate to Joe and or the venue. I took the sketch further than I meant to, but really wanted to show how the colors would look and react with each other. Here is the location and reference image. 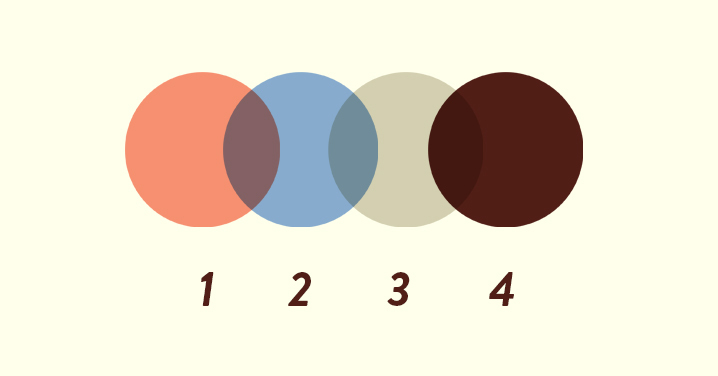 This is the full sized colored sketch of the proposed composition. And this is a mock up for scale.